Foot drop also known as drop foot is a condition where you have difficulty lifting the front of your foot. This can result in dragging of your foot as you walk or altering your gait in order to lift your leg far enough up so that your foot is able to lift completely off the ground. Wearing a brace can help put your foot into the normal position, adjust your gait, and provide the stabilizing you need. 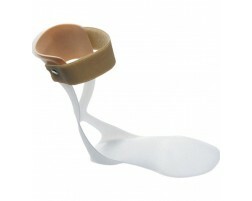 A lightweight foot brace is one of the most common treatments and can help support drop foot.